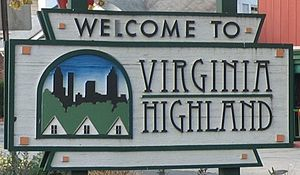 The Virginia-Highland Civic Association Annual General Meeting will be held September 22 at the Inman Middle School Cafeteria from 6:30 – 9:00pm. Grants will be awarded and the 2016/2017 Board of Directors will be elected. The Springdale Park Elementary Advanced Chorus, led by Music Director Brianne Turgeon, will kick off the meeting again this year, so be sure to arrive early to hear them! They will start at 7:00pm. Please submit your grant applications to board@vahi.org. Applications can be found here. The association has given out grants to local non-profits, schools and other organizations doing work that benefits our membership right here in Virginia-Highland. The nominating committee (Lola Carlisle, Kevin Cronin and Jess Windham) will be accepting bios from those interested in running for the Board. Please reach out to the Board with questions and review the activities and the mission of the association on our website. The Committees page and Strategic Goals from prior years are particularly informative. To be included on the printed and published ballot, please email your bio to jlwindham@gmail.com, lola@tailfin.com, and cronink@me.com by September 6. Please include a paragraph on your experiences in the neighborhood and goals for serving on the 2016/2017 VHCA Board. You can see bios of current board members here. This entry was posted in news and tagged 2016, annualmeeting, electionofofficers, vhca by John Becker. Bookmark the permalink.